overlooking a large swathe of the land occupied by DOP Cariñena. To the south and southwest, the sierras of Algairén, Paniza and Vistabella trace a mountainous arc of quartz and slate. Little by little, the shapes making up the lie of the land are softened until they blend in with the detrital plain covered in jagged stones or pebbles (“gravel”) forming a loose and well aerated soil, which is ideal for cultivating vines. Vines prevail across the land and cover it with a blanket of colour. Its extraordinary geographical location, set deep within the natural passage between the Ebro valley and Levante, explains the antiquity of the settlement and the diversity of crops that have left their mark in the area, as evidenced by the Iberian deposits and abundant remains of Roman settlements. Lying very close to our winery are the remains of the ancient Convent of Santa Catalina, erected between 1424 and 1425. In Cariñena this area is known as “El Convento”. No doubt one determining factor was the prosperity enjoyed by the region. Clearly, the fate of its ruins has varied widely. However, there is something that even today still shows no signs of change and that is its agricultural activity. 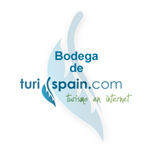 For this reason, Bodega Tierra de Cubas finds itself in an unparallelled position throughout Aragon. The winery’s name Tierra de Cubas was not just a random choice: Cariñena has been a “land of vats”, since Antiquity (even before Roman times), where wines were made that were transported and appreciated all over the world. Nowadays, we no longer use those huge wooden vats from the cellars dug out of the ground but rather small barrels to age our wines. However, our name harks back to our origins: namely, those early vats. Formed by 14 municipalities (covering about 15,500 ha), the comarca, or county, is located in the Iberian System mountain range in Aragon, in the central sector of the Ebro Depression. It enjoys a continental climate, with cold winters and hot summers. 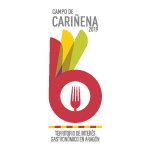 Cariñena is the only region in the world that lends its name to a grape variety, namely: Cariñena (also known as Carignan). The same name was used to distinguish the Denomination of Origin (DO) in 1932, which is one of the oldest DOs officially recognised in Spain. This is a region that is historically recognised as being ideal for wine-growing. The most common local varieties are Garnacha (Grenache), Macabeo and Cariñena, although in recent decades other varieties like Tempranillo, Cabernet Sauvignon, Merlot, Syrah, Juan Ibáñez and Monastrell have been introduced.